Resale websites, groups, and apps are a dime-a-dozen these days, and there's really not a lot that sets one apart from the others (aside from user base, maybe). 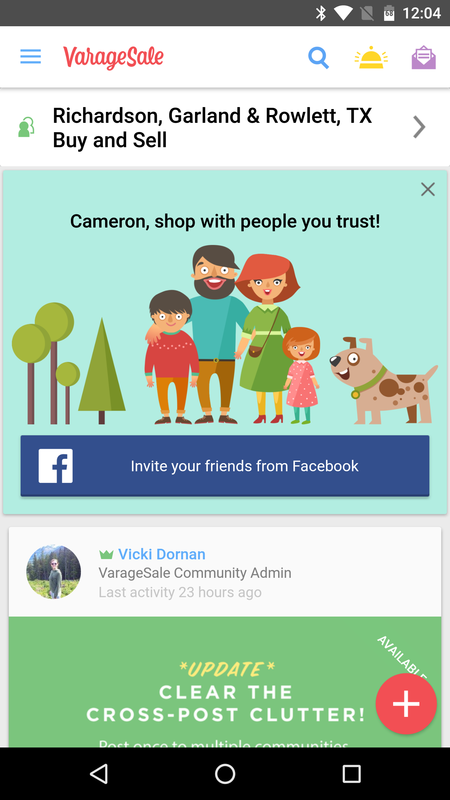 A new app called VarageSale wants to change that. Designed by a mom and operated with moms' high standards, it has potentially game-changing features that will not only make buying and selling in the resale market easier, but also safer. It does this by requiring every user to use to sign-in with a real Facebook profile, and a community administrator has to approve every request to join. From what we've seen, each community has multiple admins, and they all appear to be local to the area in which the community was founded. 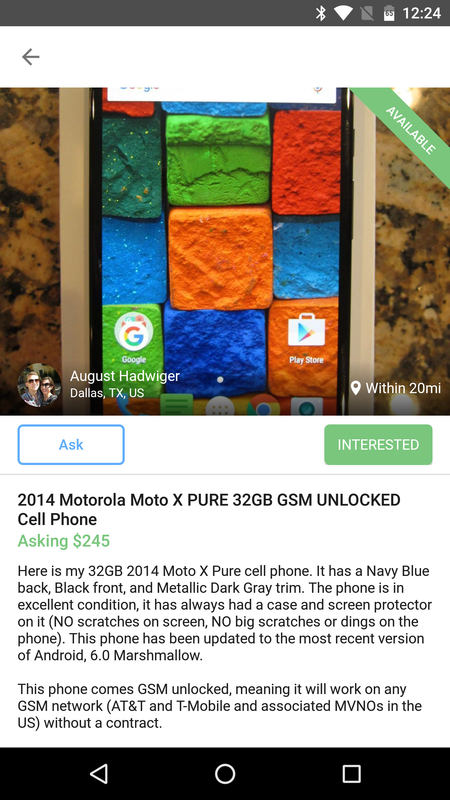 That's a totally different approach to any resale app that we've looked at before, as it makes it much more personal. Think of it as Nextdoor meets craigslist — a very cool combination indeed. Once you've downloaded the app and found the community best suited for you (there are a lot in most areas), you sign in with Facebook, confirm your email, and create a password. After that you're free to look around, but options will be limited until an administrator officially approves your request. Once that happens, though, you're free to buy, sell, and comment. 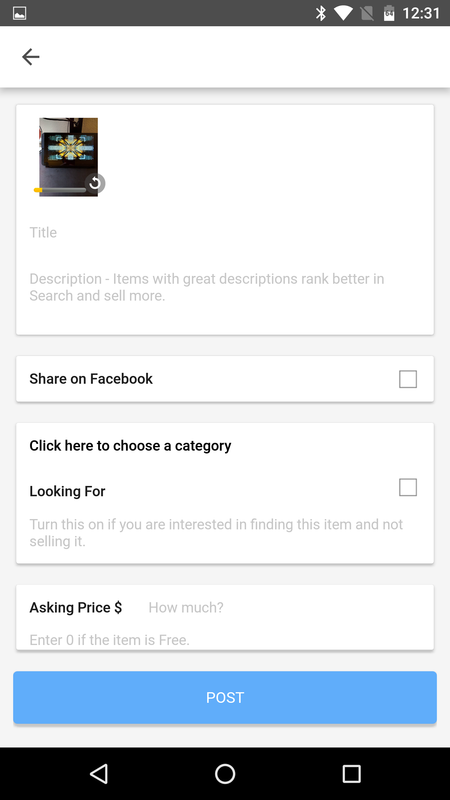 The app itself is laid out in a way that makes it easy to navigate and find things you're actually interested in buying. The primary interface is the "feed" — this is basically all the newest stuff listed for sale. 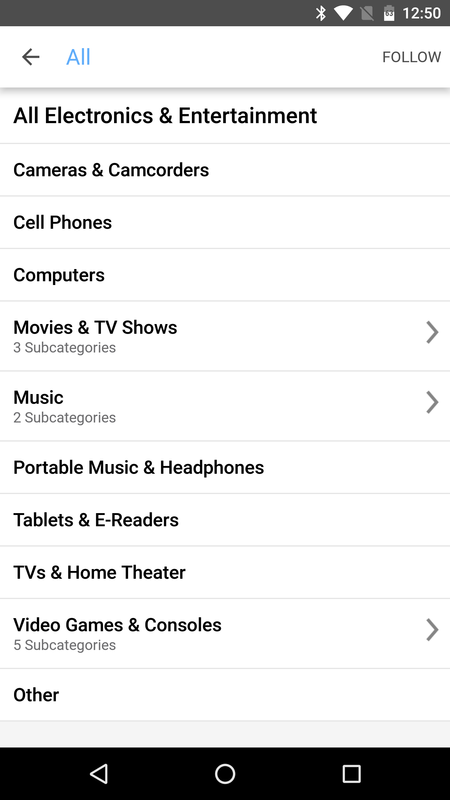 For a more granular approach, however, there's a categories section, which allows users to break things down pretty heavily — several of the categories even have subcategories. Once you find a category that you're interested in, you can follow that particular topic, making it easy to keep up with what's the latest stuff. Once you've found something that you may want to buy, there are a few options: watch, ask a question, or message the seller letting them know you're interested. It's all really straightforward, especially for anyone who has dealt with resale Facebook groups before — it's the same basic concept, just much more organized. Posting items for sale is equally as easy: hit the FAB, choose "post items," select some images, and write a post. 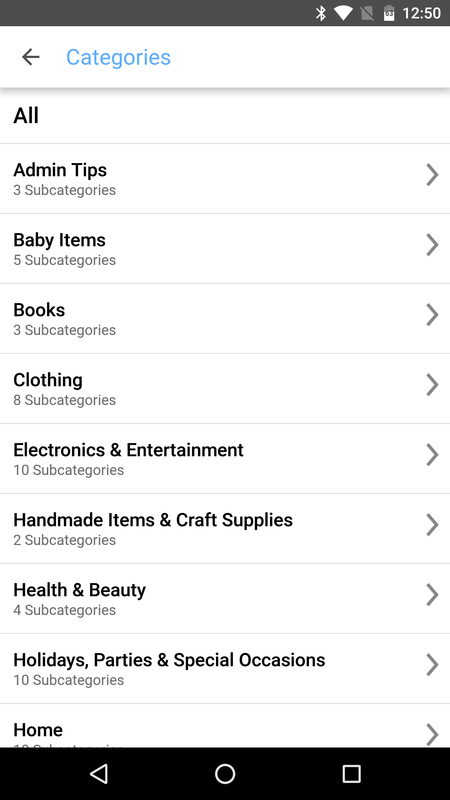 You can choose which categories the item goes in and share it on Facebook, too. What's even cooler is that you can also use the "post items" option to post pictures of things you're looking for instead of selling. That's awesome. 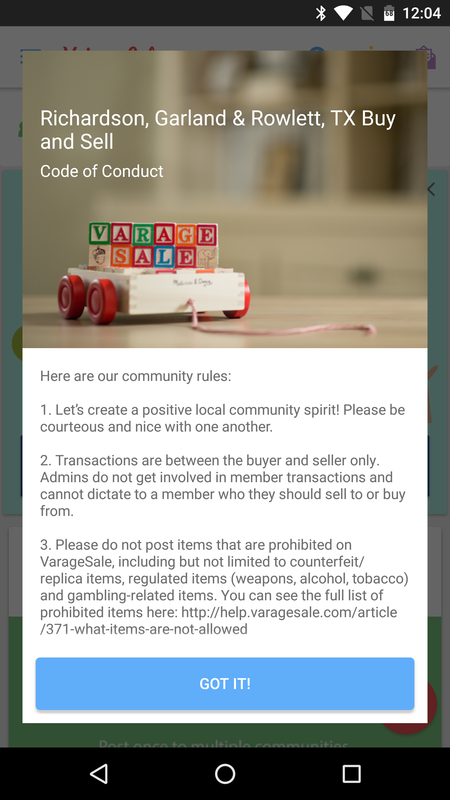 VarageSale is totally free and at least worth checking out if you're into the local resale scene. Grab it at the widget below.